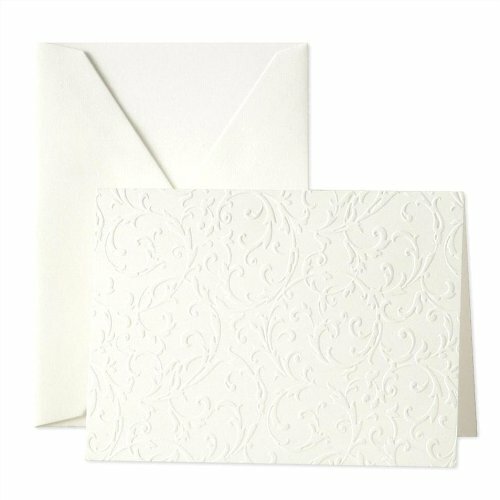 The understated elegance of blind embossing paired with a swirling scroll motif, our pearl white note lends a sincerity to your correspondence. Blank inside, each note is paired with a matching pearl white envelope. Manufacturer: Crane & Co., Inc. Publisher: Crane & Co., Inc. Studio: Crane & Co., Inc. If you have any questions about this product by Crane & Co., contact us by completing and submitting the form below. If you are looking for a specif part number, please include it with your message.